*Registration Closes on Thursday, December 6th at Midnight Pacific Time! The Awakened Life was conceived as a simple and accessible structure to support you in activating, deepening and sustaining spiritually awakened consciousness. Regular infusions of potent spiritual guidance to activate the miracle of awakened consciousness within you. A coherent, structured program of both self-directed and guided meditation practices to help you deepen and stabilize your awakening. Frequent opportunities for meditation coaching to help you maximize the time spent in practice and ensure that your meditation is effective. An ongoing support structure to help you express and live your awakening in every moment of your life. A vibrant community of practice to enliven and support your awakening. 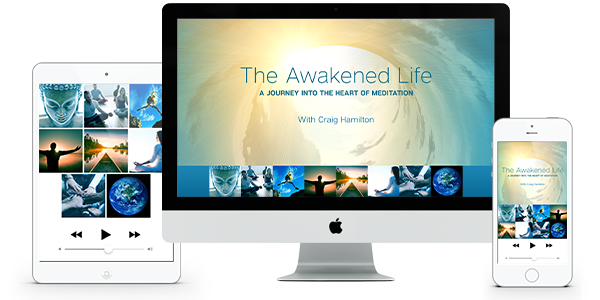 Through frequent opportunities for live virtual engagement with spiritual teacher Craig Hamilton and a structured practice program within a dedicated community of support, each month you’ll penetrate deeper into the mystery of awakening and strengthen your ability to sustain your awakening throughout the ups and downs of daily life.